The STePS eBullitt system includes a 250W, 36-volt electric drive unit, or motor, that will help get you up to speed, but cuts out at 15.5mph (25km/h). The drive unit produces a maximum torque of 50nm and weighs 3.2kg, making it one of the lightest on the market. 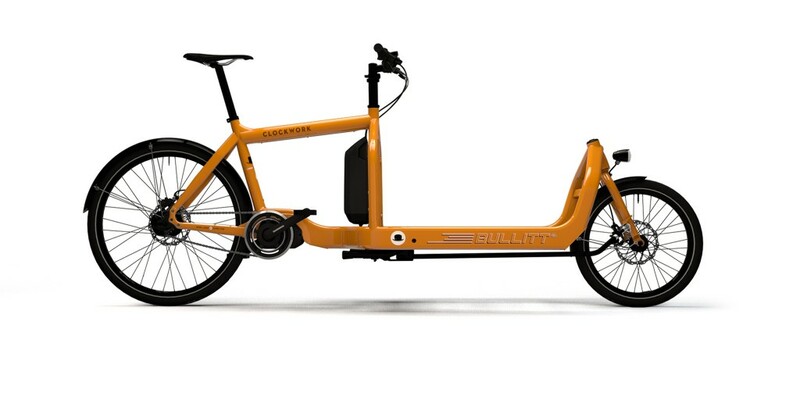 This is the fastest, lightest and smartest cargo bike currently available. The combination of electric gear shifting, powered by Shimano’s Di2 system, pairs the Bullitt’s shifting with the main battery for seamless integration. With the shifter cable housed and sealed, the system is incredibly durable and user friendly and multi shifts can be made effortlessly. One of the toggle buttons on the shifter can also operate the bike’s front light. There's also a bar-mounted display that shows all the usual info, including speed, distance and elapsed time, as well as what mode the STePS system is currently in, the estimated range left in the battery and what gear you’ve selected. Please note that The BBX side + cover, Foldable seat and Canopy all need the Honeycomb Board! We offer FREE ASSEMBLY on every Bullitt bike purchased @ Project Bike!